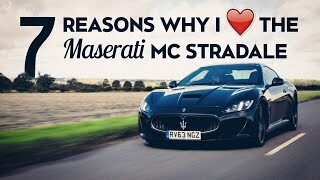 Maserati unveiled a modified version of the GranTurismo MC Stradale at the 2013 Geneva Motor Show and the updated GranTurismo MC Stradale will go on sale in Europe this summer. The new model comes with several styling updates, major one being the 2+2 seating layout. 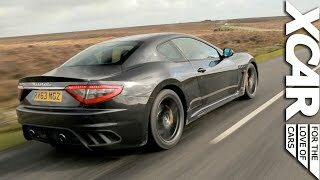 The new four seater GranTurismo MC Stradale is the perfect combination of sportiness, luxury and elegance, comfort and style, functionality and dynamism that can now be enjoyed by four people. It is powered by the 4.7 litre, 460 HP aspirated V8 engine. Combined with an MC Race Shift 6-speed electro actuated gearbox, this engine ensures outstanding performance - with a top speed of 303 km/h. The new aesthetic exterior features include a new carbon fibre bonnet which frames an important central air intake and two rear extractors and the new forged 20" alloy rims and Brembo carbon ceramic brake disks. The new GranTurismo MC Stradale boasts a cabin with new interior design featuring new materials and style.